I combed through my recent entries and realized I’ve neglected to unveil Project Fierce here on the blog. 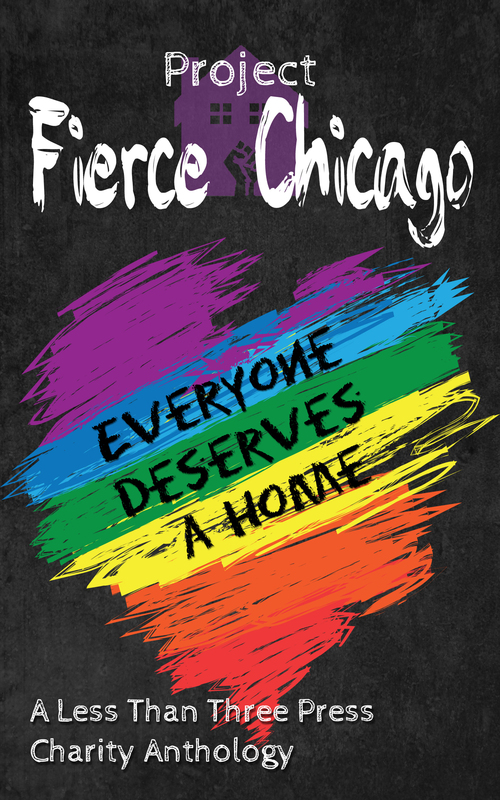 Project Fierce Chicago is up for pre-order here and you can enjoy 15% off on this beautifully large, richly diverse volume through the afternoon of July 15th. My story, Castle on a Cloud, was inspired by The Little Matchstick Girl but of course I had to go and give it a happy-ending twist … and a bit of a steampunk makeover along with a few other surprises. The project benefits LGBTQ homeless youth in Chicago, so you’re not only investing in some quality fiction by a number of talented authors, but the entire proceeds go straight to charity. I finished proofing my galley copy this morning (for my story, I wouldn’t be so hubristic as to go through the whole thing) and you all are in for a treat! More posts to come, so check back tomorrow and Saturday for news and a chance to win a shiny prize. Big news! Everything’s coming up Psionic Frequency. That’s right, it’s a series now. I’ve even got a super-secret brand new folder with a working title in the brand new Psionic Frequency folder on my hard drive. Tis a beautiful thing. Want to know what else is beautiful? Sweet, sweet audio books. 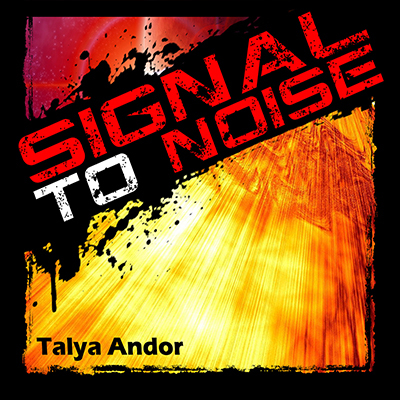 More specifically, Signal to Noise on audio book. Coming soon to most major audio book etailers! It will be available on Audible, Amazon, and iTunes on or around Friday, June 20th. You may be able to score a free copy sooner, so mark your calendar and check this space for a giveaway opening this Sunday, the 15th! If I could get my shizz together I’d open it on Friday the 13th because that tickles me, but let me be honest, I’ve been spending the majority of my free time playing Mass Effect lately. I mean writing and incorporating edits. Well, that too. Honest. 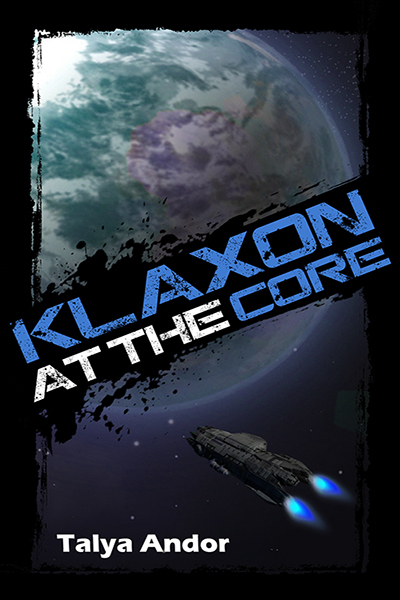 Klaxon at the Core is up for pre-order! The (mis)adventures of Theo and Bastian continue in this intrigue and action-packed sequel to my first sci-fi horror. And it will be a dual giveaway–you can put in for a chance to win an ebook copy of Klaxon at the Core for double incentive to mark you calendar and check this space Sunday. More news coming soon, because I’ve been naughty and neglectful and have quite a backlog of things to share. First and foremost! Less Than Three Press is still running their fabulous FREE BOOKS giveaway tomorrow, so keep an eye on their Tumblr or @LT3Press at the top of each hour. At some point tomorrow, Signal to Noise will be up for free for a whole hour – so if you haven’t yet nabbed a copy, here comes your chance! It’s a good time to brush up, because its sequel Klaxon at the Core makes the drop in June! Today’s WIP Wednesday is a teaser for my most recently accepted story, “Castle on a Cloud,” which will be a part of the Project Fierce charity anthology. Jant Keed came to the cloudborne city of Skyrill to live out the opportunities that he and his brother Brannant could only dream of from afar. Instead, he finds himself on the street scraping by for each brass bit to make it from one day to the next. As he seeks shelter from the cold, he finds himself trading the tinders he could sell for visions that lure him to a turning point. The choice Jant makes could mean a bright future, or the end of one. Jant Keed braced himself against the cold slap of wind that rolled in from the far side of the park’s expanse of manicured lawn. He tried to warm his chilled fingers with scant breath and wondered if there was a chance in the Frozen Hells he’d sell enough tinder to rent a cot to stay alive one night longer. The odds for a sale were increasingly small in the affluent upper terrace he’d spent his last brass bit to reach but the locale hadn’t been his choice. Skyrill was packed from lowton to royal tier for Midwinter’s Festival of Turning. The Festival of Turning was such a pivotal celebration to the Four Aspects faith that Jant wasn’t surprised the cloudborne city of Skyrill was filled to capacity. Even guttersnipes had been evicted from trash bins by those higher on the street pecking order. Tradesmen were crammed in like canned fish in the gear district, grinders and beggars were pushed out of their usual pockets to fend for themselves, and even the tiniest tots had been displaced to seek a mercy shelter or run barefoot until they found a night’s charity. Jant himself had been elbowed out of the plot where he usually sold his pitch—a poor enough place between an alley and a trash heap—by a pair of older air whips with tousled dirty hair and sneers that promised violence. On a clear, fair weather day the upper terraces like Proudmarch weren’t such a bad place to be. He’d even come more than once to admire the houses as much as to attempt his pitch. Jant shivered as another cold gust cut across his back. He attempted to curl himself into a tighter, more compact ball with his arms looped around his knees and gazed out over the empty walks that criss-crossed the front of the park. The sight summoned fresh misery that made his stoic expression crumble but he could only allow a brief, pained grimace before wiping it clean. He’d taken the steamcar to Proudmarch because he’d figured he wouldn’t have to fight for shill space, but there would be foot traffic enough to keep him in coin for one night more. Showed how much Jant knew. Proudmarch was deserted, and likely the other upper terraces as well. Jant had seen exactly two souls since his boots had left the steamcar and both of those had been servant class, proud enough in their finery but pressed for time or money. They didn’t need Jant’s tinder. All the fine houses were closed up tight, none in need of the heat or light Jant could provide with the self-contained globes of fire he could summon up to his palm and sell. Fire was auspicious and in need in a place like Skyrill that had its share of a plentiful three—air, earth, and water—but was touched by fire only at dawn and dusk. Jant’s Aspect was fire and he thought he’d do well enough on the streets of Skyrill for all that, but he’d learned fast that his command of his Aspect was so slight as to be considered laughable. He could conjure tinder and make flames dance but not much more. His eyes pricked and he steeled his face to hardness again, lifting a hand to summon up a bit of tinder. Fire burst into red-gold glory for an instant before Jant pulled on the flame with the ease of long practice, twisting it round itself. The surface formed a glassine orb, warm to the touch and etched in the flickering colors of the flame he’d summoned. He cradled the tinder in his hand and bit his lip against a sigh. He could cast it at his feet to release the flame again and it would warm him for a little while. Without a sale, though, it wouldn’t do anything for him; not fill his belly, nor find him shelter for the night. Each tinder used up a bit of his spirit and without the replenishment of food or sleep he’d be done for. Jant had seen his share of wide-eyed corpses over the past few days, left out overnight without any other option. He didn’t want to be one of them. He straightened and hugged his knees as a tall man strode past with purposeful strides, his back toward Jant as he passed by the park. Jant half-stretched a hand and croaked, but by the time he’d cleared his throat Fehrad was gone. Why wouldn’t he be? Jant’s doleful thought followed. Fehrad Bezuyt was a kind man, to be sure, having stopped a fair number of times on the street to buy tinder from Jant and share a few words of encouragement or advice. He was also too important to be dallying with the likes of Jant. A butler of House LeVries could have scraped Jant or his peers from the soles of his boots. It still caught Jant by surprise to be addressed by Fehrad on occasion. If Fehrad was headed for Clairewater, the LeVries’ estate, at such a clip then he had business and no time for dallying. Jant balanced the tinder he’d conjured between his knees and stared with longing at the place where Fehrad’s wool-garbed broad shoulders had disappeared. Jant had never seen a Kemet, one of the dark-skinned races to the far southeast, before coming to Skyrill. Fehrad had been the first and remained the most handsome to Jant’s eyes. He had a lean, sharp face with a pointed nose and thin lips that parted to reveal a brilliant smile with ready ease. He cut a stunning figure in his wool suits and waistcoats, or light linen when the weather permitted. Even in milder seasons the winds that buffeted Skyrill could be fierce. It was his hands that had truly snared Jant’s attention, though, being sturdy and calloused in a way that denoted he was no stranger to laborious work but well-shaped as fine sculpture for all that. If he could have garnered Fehrad’s attention for a moment, he might have kindly purchased the tinder—at twice Jant’s asking price, as usual—but offered no further solace than for him to move along. There was no place in lowton, though, and Jant’s shiver wasn’t inspired by the wind when he considered the places he’d already been pushed out that day. The cold was fierce enough, and the terrace empty enough, that Jant had considered breaking a window and crawling into one of the fine homes to hide for the night. At least the afternoon. Mayhem & Mischief’s patented alarm system would send up a clamor right quick, though, rousting the constables from their comfortable seats in the gastropub by the steam-rail station. They would find him with no great effort and the lockup would await him. Jant’s thoughts traveled involuntarily to the sight of the great gray slate of the lockup, a terrace set apart from Skyrill’s storied propulsion-suspended levels. The dread that choked him was born of more than the prospect of being jailed. If he were to go there … they would find out. People would discover what he was. And a swift death would be the kindest thing that could await him. His own parents had turned him out after his older brother Brannant had died—and why wouldn’t they? A boy spirit born into a girl’s body was evil, unlucky, impure. Jant’s spirit was tainted and it had been no great surprise to discover his Aspect was so limited. It had probably been stunted by the twisting of his own spirit from what had been intended in the body where he’d taken root. He breathed on his chapped hands and turned his thoughts forcibly from the miserable realities that had brought him there. He had to focus on what came next. Instead of breaking in someplace, Jant would keep watch in the park, alert for some stray worker who wasn’t at a worship center. He’d hide as the constables made their final rounds before turning in for the night to take their ease at the gastropub while they watched the main worship rites on the transmit-tube. At that point he could wedge himself under a bench and hope for the best. It wouldn’t be warm, but he’d make as compact a shape of himself as he could. Theft had never much occurred to him even when he was scraping cobblestones for a bit of brass, but right then Jant would have eagerly taken a blanket from a line if anyone had been amiss to leave it there. Jant looked down at his hands with numb concern as he realized he could scarcely feel them. He chafed his fingers together, blew on them again, and bitterly considered the impact of each exhalation as his spirit left with it. He would freeze or his last breath would leave him before the constables made their next round. First wave of the mecha releases tomorrow! Tomorrow, the mecha take the world by storm! Right now there’s less than twenty-four hours left to pick up the first wave of mecha collection titles at a sweet, sweet pre-order price of 15% off. For five years, Grant Badu has been part of a solid fighting team with the Gemini Suit called Trefoil Argent. Together, they fly and fight so effectively, their combat record so impressive, that they’ve become informally known as the Infallible Duo. When a case containing classified military innovations is stolen and shot down in the foothills of disputed border territory, Grant and Argent are tapped for its swift recovery. But the mission requires pilot Argent to take on the one cybernetic option he’s been avoiding, for reasons even Grant doesn’t know. Dragonspire began its life as my 2013 Nanowrimo project. I ended up finishing it in mid-January and its final word count clocked in around 150k. It’s a bit longer than I was hoping, but there was a lot of story to tell. It’s out for its first edit right now. Echo paced the terrace with his hands clasped behind his back, gazing with brooding eyes out on the grayed vista of the Crown as the purple and navy mantle of night wrapped around the spires. If he were in dragon form, his tail would be lashing, short irritated bursts gusting through his nose. He remained in human form partly on the prospect of Gideon seeking him out but also to lessen the damage that a lashing tail could do. It had been so long for Echo that he had begun to think no one would arrive at the Wroughtspire to pledge to him. It was merely a waypost for all the humans seeking passage to another world. Yet Gideon was already from another, and he had come seeking Echo. It was all too neat, and Echo fretted at the idea of it the way he would worry it with his talons if the problem had a physical shape. He had put word to Chant and Blaze to join him at the heart of the Wroughtspire and they had agreed. That would take as much time as he’d allotted Gideon for rest and refreshment. It was more than enough time for Echo to pace, and overthink the matter. For the Callardans, it would be like an act of war. Taking their champion and accepting his pledge would be provocation on an order that had not been offered in centuries. Already Echo had been transferring many promising youth through the Nexus but they had been the dispossessed, the ones who did not belong. Echo’s thoughts shifted to the political ramifications of the day. The high priestess herself had come to his spire to challenge him, bringing with him a champion who had indeed been armed with a sword that could have destroyed him—if he’d plunged it into the Nexus. The Amicus Draconis had been gifted to the humans so long ago as a sign of trust between their races. Chrysania had been swift to flee when the tables had turned on her, but her schemes would stop there. Of that much Echo was certain. He could not hazard to guess her next move because she was human, and there were profound differences in the way they thought. He would have to consult with Gideon. Gideon, Gideon … all his thoughts led back to Gideon, from the moment he had made that most startling pronouncement. In a single moment he had withdrawn his allegiance to the Callardans because he had seen something within Echo, recognized him. For his part, Echo had recognized it when the Nexus responded to the pledge. He put aside those thoughts and turned from the terrace to return to his own human quarters. The space within the spire was divided, dragon-sized quarters for the most part but they alternated with adjoining human-sized suites. Echo and his kind could take human shape, and diverse others. They preferred human shape for the books, as well as the nimble hands that made so many tasks possible. Even though the humans had reviled and turned on them so many centuries ago, Echo had been raised to respect them and treat all those who came through his spire with the same courtesy he would accord another dragon. He possessed a wardrobe extensive enough to satisfy his vanity, and changed into green robes that complemented his eyes. Gideon had not seemed offput by the scarred one, looking fascinated as he met its gaze as easily as the other. That was a promising factor. A flamelike tongue of light appeared near his head as he finished robing himself, tugging on boots of black minotaur leather and stamping them to a good fit. Cousin, we are near, Blaze’s voice said near his head. We shall emerge beside the Wroughtspire’s heart within the hour. Echo nodded and the messenger light dissolved into brilliant sparks akin to a candle blown out. He drew in a deep, steadying breath and went to the quarters he’d assigned Gideon—quarters adjoining his own human suite. Before he could raise his hand to pull the cord, the opaque crystalline surface cleared and wavered like a drop falling onto still water. It vanished, leaving the doorway open with Gideon standing on the threshold. Their eyes met. Gideon smoothed his hand down the golden-brown shirt with its voluminous sleeves. It suited his coloring, and Echo wanted to draw him in and breathe his scent. He looked so much the better for having rested and bathed. His eyes crinkled when he smiled. They were brown with subtle golden flecks and Echo was fascinated by their uncommon hue. Most eyes were gem tones save the rare human and even those tended to be solid colors. “Yes, thank you. I hope you don’t consider these to be mercenary clothes, too.” Gideon’s eyes crinkled again as he met Echo’s eyes. “I guess that rules out underwear, then.” The statement seemed to slip from Gideon unbidden, and his cheeks turned red while he rubbed at his neck. “Forget I mentioned it,” Gideon muttered. Gideon nodded and offered his hand. Echo gave him brief, happy smile and clasped it. Gideon’s fingers were warm, his skin a golden hue unlike the darker tones of the Callardans, or the pale skin of most dragons whose pigment did not alter in the sun. Altogether he was pleasing in every aspect. Well suited, he thought but did not dare voice aloud. He concentrated on the dark gray cavern deep within the Wroughtspire, the place that allowed access to the great black crystal itself. Between one moment and the next, they were there. Echo willed a handful of spheres into existence, sending them out to the darker corners of the cavern. It was one place that remained a ragged chamber hewn by volcanic action, the fissures and cracks of pressure and time, and steady drips of water. He and his ancestors had not set their design to shaping the heart of the mountain, given it was the one place that sprang from the Motherdrake rather than their own making. “Better?” Echo asked, keeping his voice even when it threatened to tremble with excitement. Showing Gideon to the very seat of the mountain was a monumental step. He could not fully articulate to any human, let alone one from another world, what a tremendous show of trust it was. Zeph is the winner from The Fall Guide pool and Kathleen is the winner for the Proud to Be a Vampire Vol 1 pool. Congratulations! Both winners have been contacted and their shipping details are confirmed. Thank you everyone for your participation! Some lovely new developments in the authorial department. All About Romance picked up a review copy of The Fall Guide and said some very good things. Have you picked up your copy yet? Let me know what you think! In upcoming months I’ll be featured on Joyfully Jay as one of the Rainbow Con authors, and there will be other fun things to look forward to as well. Also there’s news! I’ve signed contracts for Like Stolen Pearls and My Sexual Superhero, two stories that will release in collections/anthologies later this year. Body Option has an absolutely awesome cover I’ll reveal a little later on. What’s on tap right now? I’ve finished Dragonspire, first draft is a whopping 150k, so I’m faced with editing. Lots and lots of edits. Time to look at due dates on some submission calls, as well. After the long, hard marathon of Nanowrimo, WIP Wednesday makes its triumphant return! And you’d think I would start sharing the manuscript I spent those frantic thirty days writing, but you’d be wrong. Dragonspire is not yet ready for reading consumption. Instead, I’m going to share the first part of a story I’m kind-of, sort-of writing for Christmas, with the hopes I’ll finish it up on the plane on my way to Chicago later this month. The prompts were mistletoe and May/December, so I’m bringing those elements together along with my own little twist. This one doesn’t have a summary yet, so I’m just going to launch right into it. The worst of all Christmas carols was jangling out its jaunty theme of cuckolding and maternal adultery when Kenneth Whitaker crossed the polished expanse of marble that took him across the vast glass-walled lobby. Kenneth clenched his back teeth and put on a smile for the benefit of Sheila, the receptionist, as he bent to sign in at the front desk. “Seems unfair that they keep you working while everyone else goes upstairs to party,” Kenneth said, as though he hadn’t been working sixty hours a week through the holidays for the past fifteen years. The Vanderbrandt company party was the one free pass for all executives. Kenneth’s short walk to the sleek silver escalators beyond the front desk was the march of a soldier going to battle. The Yamato group meant a very specific Yamato would be there waiting for him. The fact that Zach had asked Sheila was his advance notice that yet again, the hunt was on. The elevator ascended, and Kenneth’s stomach attempted to stay on the ground floor. It had been years since he’d seen Zach Yamato–too young, too sleekly gorgeous, too precocious–and fended off his wandering hands and blunt proposition. He had to close his eyes for a moment to steady himself. “I’ve wanted you for years,” Zach had breathed into his ear, attempted to kiss him, and only when he’d pointed upward with a cheeky grin had Kenneth realized he’d been steered directly under the mistletoe at a darkened corner of the ballroom dance floor. Kenneth’s eyes popped open when a chiming note heralded the arrival of his elevator at the party floor. The entire top floor of the Vanderbrandt building was a stadium-sized atrium complete with towering crystal skylight and sleek steel girders. They were draped for the occasion with boughs of evergreen punctuated with the bright red splash of holly. A woodsy scent assailed Kenneth’s nose as he stepped out of the elevator, gift bag dangling from the crook of his arm. The anonymous gift swap took place at midnight, and a table already piled high and wide was pushed up against a wall to his right. The table itself was covered in shiny mylar reminiscent of gift wrap. Kenneth added his contribution to the precarious stacks. He turned to assess the brewing party for danger zones. Christmas with a more rock-driven beat drifted through hidden speakers, and the press of people was hidden partially from view by the staggered placement of three towering firs decked with all the tinsel and lights they could bear. A gauntlet of familiar faces stood between Kenneth and the wet bar at the far end, and the DJ was out of sight in a crow’s nest on the second level that wrapped around one side of the atrium. The other side opened onto a terrace that afforded one of the most spectacular views the city had to offer. Yamato Senior was visible enough, standing in clear view within a cluster of the Vanderbrandt group’s most elite executives. As always, he wore an impeccably tailored suit and his slight frame and iron-gray hair provided no other tells for the massive clout he wielded. His bodyguards stood an unobtrusive distance apart, hands clasped in front of them, eyes shielded with dark glasses even indoors. His translator Reiko was beside him, stunning in a champagne-colored off the shoulder dress, her black hair newly clipped into a pixie cut. She was all smiles in contrast to Yamato’s stoic face. There were other important players present, Kenneth noted, accounting for his colleagues, their allies, even a few key business rivals. The Vanderbrandt group’s Christmas parties were legendary, and not to be missed. He started out across the maze of mingling associates and headed for the far side of the room, keeping a weather eye out for a certain youthful storm. The last time Kenneth had seen Zach, he had promised to make the same offer the following year, and reminded Kenneth he wouldn’t have the excuse of his being underage to turn him down. That had been three years ago.